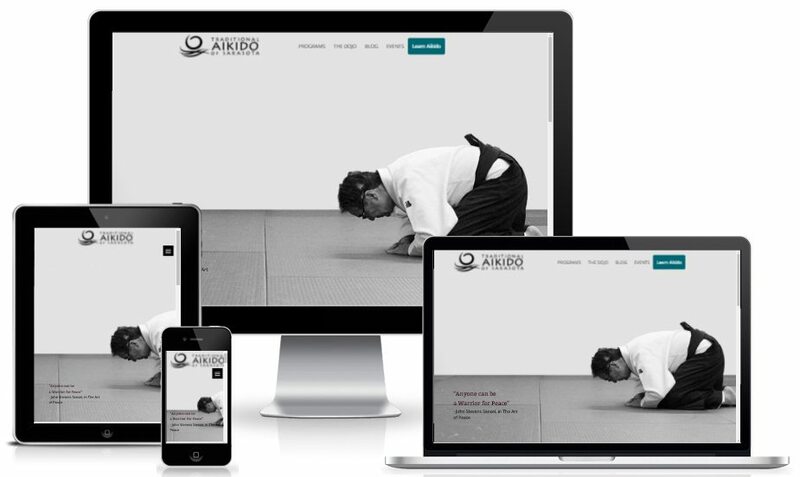 Aikido Sarasota had a recent rebuild of their website in early 2016. For the original rebuild the designer used Maniva Fitness; a WordPress theme targeting gyms and similar businesses. The website suffered from slow page speeds and usability problems because it was on low cost hosting. Upon login I immediately noticed that Visual Composer was used to build the entire site. The biggest problem which resulted in my recommendation to rebuild the site is because Visual Composer was used for every aspect of the website on a page by page basis vs. relying on the theme to create the basic structure of the website so every page was a mass of shortcodes which made the site difficult to work on from an editing, and content writing perspective. Other reasons for rebuilding this website included improving SEO and improving Page Speed (which also benefits SEO). While improving SEO in itself isn’t always enough to justify a rebuild a website build a bloated theme presents problems that can’t be resolved easily. An example of this is another case study where we optimized the existing website instead of rebuilding. This company was purchased recently and the website was rebuilt and completed with a new design in November, 2017. It is still a very fast loading site but because of integrations with third party application it isn’t quite as fast as described above. Third party integrations are a big challenge for the web design industry – clients want the integrations and it is clear that almost 100% of the time the third parties are not considering page speed as important.